One of the singular aspects of my Biblical Astronomy research has revolved around the Celestial Prelude. I was recently encouraged by Jon Nessle to take a closer look at the historical aspects of Jupiter’s retrograde motion in light of Jupiter-Saturn triple conjunctions, that I believe influenced the Magi so powerfully, as a precedent to the astronomical signs surrounding the birth of Christ. I took his advice to heart because Jon has never steered me wrong, and there are always positive outcomes as a result. I’m so very thankful to Rev. Nessle for inviting me to take part in his ministry work and for our resulting fellowship. It motivates me even more to think that we have only just begun, and I’m excited to see what the Lord has in store! Here the Temple is pictured with the Ark of the Covenant between its central pillars. 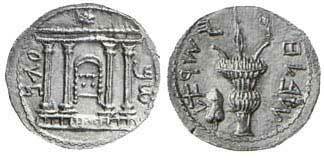 This coin with the bright star over the Temple is assumed to refer to Shimon the “Son of the Star“ and leader of this revolt, but it could have also been a logical reference to the supernova that appeared in the head of the woman’s son in Coma‘s lap, the desired of the nations, and perhaps even a providential reference to Jesus as the true temple. Why would we even consider this as a possibility? Since the approximate 275 year period of visibility of the Coma Supernova began nearly 125 years before the birth of Christ according to Hipparchus, or near the time of about 128 BC. This puts the appearance of the new Star over the Temple within 4-5 years of the Second Revolt in Jerusalem. The impact of this “new star” was such that, one of the leading sages of that time known as Rabbi Akiva, proclaimed Bar Kochba as the messiah. This not only shows the messianic expectations of this period, but also the impact of this New Star in the skies over Jerusalem, doubtlessly contributing to Shimon’s moniker as “Son of the Star,” since the new star was seen during this very time commemorated by the coin. It was this kind of Messianic expectation that permeated Jerusalem at the time. E.W. Bullinger uncovers below, the popular belief regarding this general sign that was prevalent in and before the first century BC: “a traditional prophecy well known in the East, carefully preserved and handed down, that a new star would appear in this sign [Coma] when he whom it foretold, would be born.” 2 This tradition was at least partially based on Balaam’s declaration in Numbers 24, meaning that Balaam’s prophecy holds, for our purposes, minimally a twofold import. First, Balaam’s revelation refers to the advent of Christ the King, the ascendant bright and Morning Star, who came forth out of Jacob’s genealogical line. This genealogy was marked astronomically by the similarity in the Jupiter-Saturn triple conjunctions surrounding both the births of Abram and Christ. Secondly, there is a celestial double meaning in the phrase: Star out of Jacob, with bearings on both the general and Specific aspects of our Celestial Prelude. The new star, or supernova in the head of the infant in Coma, visible to the naked eye for over 275 years, was the general sign, the Star out of Jacob, that prepared the Magi to watch for the specific aspects of the second part of the Celestial Prelude, which included the Jupiter-Saturn triple unions of 7 BC in Pisces. We find this second aspect of Balaam’s prophecy relating to the scepter as symbolic of the reign of the king planet; Jupiter. As we progress in our study it will become plain that Jupiter was the planet that the Magi referred to as “his Star” in Matthew 2:2. The Magi had noted the triple Conjunction of signs from 7-6 BC, involving Jupiter and Saturn, that gave them a blueprint for the Jupiter-Regulus triple union marking Christ’s birth, starting in 3 BC. An early sign in August of 3 BC motivated them to begin their caravan to Jerusalem. Both of these aspects of the General and Specific celestial signs marking the birth of Christ are apparent in the study on “The Stars Over Bethlehem,“ which provides further details of what the Magi observed in the skies overhead at the Messiah’s birth, both in main constellation of Virgo, and its decan of Coma. The decan of Coma is pictured below as the three bright stars forming the inverted “L” shape, that significantly contains the North Galactic Pole, located 5 degrees west of Beta Coma. 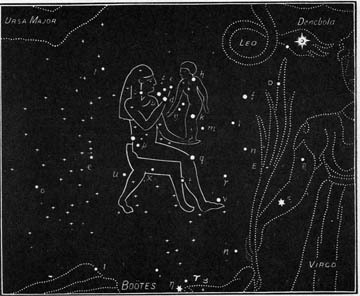 Its interesting in light of the original star picture associated with this decan, as seen in the Dendera Zodiac, of a mother holding her Son in her lap, known as “the Desired of the Nations,”[Hagg. 2:7] [Figures 2, and 3. below]. The Prophet Daniel taught the Magi and other astronomers of the king Nebuchadnezzar’s court [Dan. 5:11] about these planetary unions from the contemporary example of a Jupiter-Saturn triple union 523-522 BC in Virgo. 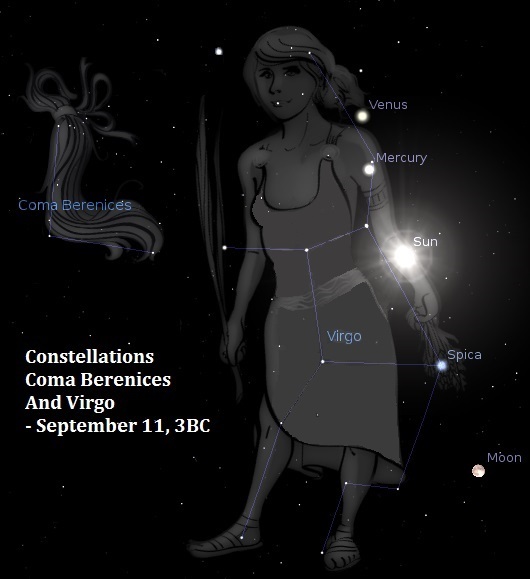 Less than 400 years later, in 132 BC a new star as the Coma supernova exploded onto the scene, in a decan of the sign Virgo called Coma. This is intriguing when we remember that much of this tradition was based on the teachings of the Prophet Daniel, who was made the master of the Magi, the Chaldeans and stargazers of the King’s Court in Babylon. He continued to preside over this august group in the reign of Darius I, [Dan. 6:1-3] when the Persians took control of the Babylonian empire. Daniel’s influence on the genuine sect of the Magi, not the Magicians who followed the path occult and Astrology, represented a critical impact on the astronomical doctrines of these Gentile scientists, especially regarding the widely held belief in the general sign marking the coming of the Messiah during this period in history. Obviously the Magi were aware of the truths of the celestial gospel concerning the coming redeemer, since it was their unrivaled expertise in Astronomy that led them to Jerusalem in the first place. As Matthew 2:3 tells us, their reputation clearly preceded them as Herod, and all Jerusalem were troubled at their appearance. Herod seems to hold the Magi’s opinion regarding the star that lead them to Jerusalem, above those of his own scribes and chief priests, which is evident in the secret meeting he arranged with he Magi in Matt. 2:7. The Biblical references to Christ associated with the Sun as the “light of the world,” the “Sun of Righteousness” [Mal. 4:2] and in Psalm 19: 4-6, are only a few of many such references. Thus, in the case of the promised seed, Zero-ashta, the religion of the Magi served as a vessel for many principles and astronomical precepts, that led mankind to the birth of Jesus Christ as the Promised Seed of the Woman, [Gen. 3:15-16]. (parenthesis and emphasis mine) From these key historical notes, we have temporal references from 125 years before Christ’s birth, extending to about 150 years after his birth; giving us a period of about 275 years of visibility for the General sign of the Coma Supernova. Here we find the witness of the stars, and the Scriptures, working together to bring the Magi to the toddler Jesus, because their alert observation of “his star” brought them to Jerusalem and the scribes declaration from Micah 5:2, when Herod questioned them, sent the Magi to Bethlehem. While en route they witnessed the heavens come alive with the proof that their historic journey was not in vain, because they saw both the Coma Supernova, and Jupiter in Virgo in the same skies over Bethlehem. This puts both elements of the General and Specific Signs of the Celestial Prelude in the same skies observed by the Magi leading them to the birth place of Jesus Christ. This initial set of signs indeed set the stage for the actual signs announcing the birth of Christ. 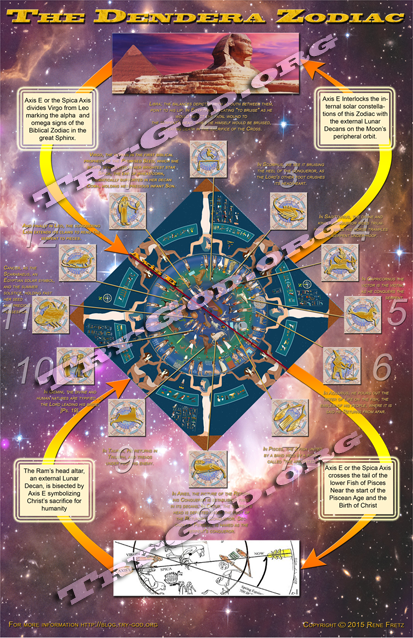 The Charts below reflect the signs of 7-5 BC, leading to the signs of 3-1 BC, displaying the principals of the Celestial Prelude. For our purposes here, our main focus will be on the triple Conjunction of Jupiter-Saturn not only from 7-5 BC, but also those preceding it with close proximity to the Coma Supernova in 126 BC, and the Jupiter-Saturn Triple conjunction in Cancer in 146-145 BC. We will consider how these previous Jupiter-Saturn triple unions with their planetary signs, more fully sketch out and establish the signs of Christ’s Birth. 1. Jupiter-Saturn conjunction in Cancer on Oct. 18th, 146 BC, in the Crab’s lower pincer, with the Sun in Libra, Moon in Gemini, Venus at the feet of Virgo, Mars in Capricorn and Mercury in Scorpius. 2. Jupiter-Saturn conjunction in Cancer on Dec. 10th, 146 BC, Sun & Mercury in Sagittarius, Moon between the Horns of Taurus, Venus in Libra, Mars in Aquarius. 3. Jupiter-Saturn conjunction in Cancer on May 4th, 145 BC, Sun and Mercury in Taurus, Moon in Virgo, Venus in Aries, Mars in Gemini. When any two planets outside earth’s orbit enter a conjunction, it has the potential for a triple conjunction, where instead of only one flyby the pair of planets can form a triple union over the space of a few months, based on the planet’s retrograde motion. Jupiter and Saturn had “normal” unions or conjunction phases nearly every 20 [19.85] years. Jupiter-Saturn triple unions have a rich astronomical cross-cultural history going back into ancient times. The “normal” Jupiter-Saturn conjunction in Pisces on April 24th, 126 BC is unique to our purpose due to its proximity to the appearance of the Coma Supernova. Since it was Hipparchus about one hundred twenty-five years before Christ, who observed this supernova in Coma as a new star, putting this sighting close to 128 BC. This sighting was confirmed by the Church Father Ignatius in 69 AD. After the Coma Supernova first appeared this notable Jupiter-Saturn conjunction in Pisces on April 24th, 126 BC, took place. This Jupiter-Saturn union was one in a series on the ecliptic paralleling the Band of Pisces holding the horizontal fishtail of Pisces. Figure 5 below shows 7 Jupiter-Saturn Conjunctions in Pisces from 185 BC to 54 AD, leading to Jesus’ birth. During this Jupiter-Saturn union, Venus also appears in the loop of the Band located at the future location of the June 8th, 7 BC union of Jupiter-Saturn nearly 120 years in advance. The Band with the horizontal fish of Pisces, here embodies a countdown not only to the opening of the Piscean Age marked by this triple union of Jupiter-Saturn, but also the signs marking the birth of Christ. According to Bullinger, the Fish of Pisces reflect “the multitude of Abraham’s seed where God compares his future posterity to the stars of the sky, and the sand upon the seashore. This very great multitude of fish [Ezek 47:9] also recalls Jesus with his disciples during his resurrection appearance to them by the sea [John 21:5ff], and the miracle of the 153 fish in the unbroken net. Figure 5 depicts the triple union of Jupiter-Saturn in 7 BC in white letters with the June 8th, 7 BC union in the loop of the Band as Jupiter initiates its retrograde loop with Saturn. In 7 BC in the constellation Pisces, this Jupiter-Saturn triple Conjunction also coincided with the dawn of a new Precessional Age, the Age of Pisces, with a new age every 2160 years. 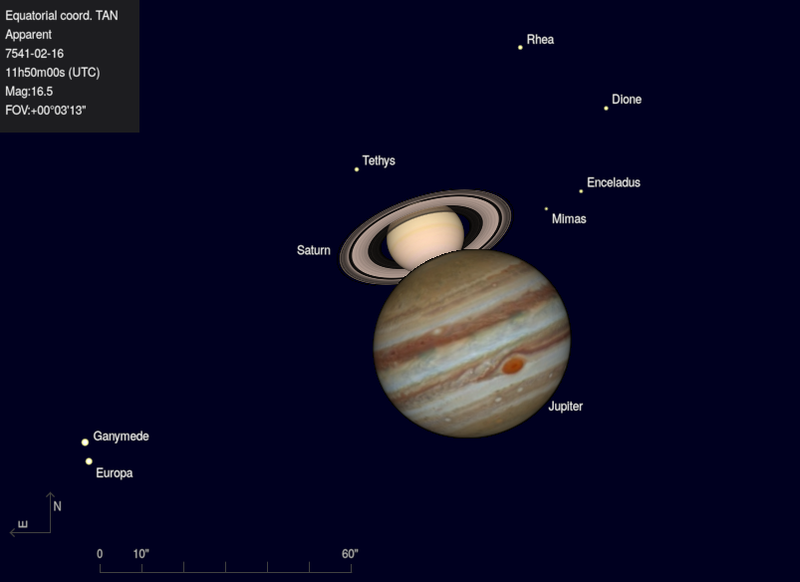 After this Jupiter-Saturn triple Conjunctions, there was a planetary massing of Jupiter-Saturn and Mars, after which followed a key Conjunction involving Mars. This unique Feb. 25th, 6 BC, trianglar massing of planets Jupiter, Saturn and Mars, was referred to by Kepler; as the “decisive Conjunction of 6 BC that opened our precessional age of Pisces.” As we have noted, Kepler also advanced the idea that the Magi were guided to Judea by the appearance of this series of Conjunctions. only once every 800 years. This exhibits how the Conjunction series subdivides the precession, which totals a period of about 25,920 years, because every 30 cycles of Jupiter-Saturn triple conjunctions that occur in Pisces totals the period of 24,000 years, a time close to the full cycle of precession. This greater 260-year cycle based on the cycle of Jupiter-Saturn Conjunctions, was also a tool anciently utilized by the Mayans to break down the very long cycle of the precession of the equinoxes. Thompkins states that: the “Maya also had a cycle of 942,890 days, or 2,582 years, that turned out to be 130 Jupiter-Saturn Conjunctions.”13 [10 x 13] Twice this 2,582 year cycle [5,163 years], not only gave the equivalent of the greater 260-year cycle of Jupiter-Saturn conjunctions, but 100 of these greater 260-year cycles was equal to 26,000 years, often reckoned the length of the precession by the ancients. With Kepler’s recognition of the pattern of Jupiter-Saturn Conjunctions and the Mayan tzolkin, we have two culturally distinct and seemingly independent views of how Jupiter-Saturn Conjunctions subdivide the precession. Similarities not only in planetary and star names, but also in their symbolism, among widely removed nations in both space and time is a feature so common in the study of Astronomy, that it discounts any idea of mere coincidence. This adds to the mound of evidence favoring what Joseph Campbell called the world monomyth which is the idea that all world mythology is rooted in one Great Epic narrative based on stellar truths, which we contend is preserved in the ancient star names God first gave to Adam and the Biblical Patriarchs [Ps. 147:4]. This age-old system was organized around the continual nesting of shorter celestial cycles, like the precession of the poles, nested as gears within the larger stellar wheels of the precession of the equinoxes, a strategy we find utilized in the construction of the Antikythera Device. 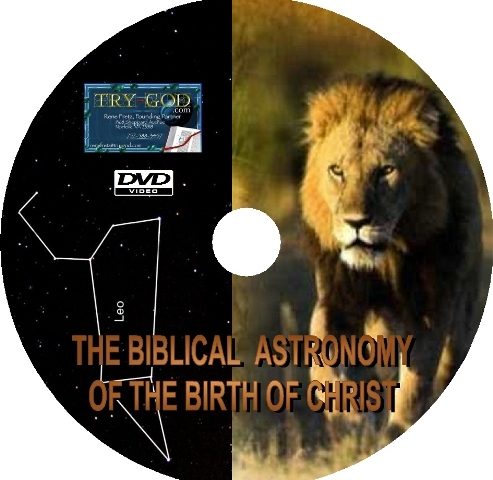 This provided the frame-work within which the truths of the celestial gospel were first unveiled to Biblical Patriarchs and later corrupted forming the basis of mythology the world over. During the time of the rise of ancient Israel, in last millennium BC, there were 43 “normal” conjunctions between the two planets, with at least 7 Jupiter-Saturn triple conjunctions taking place, with varying intervals from 40 years (as from 861 to 821 BC and again between 563 to 523) to 377 years (as between 523 to 146 BC), as seen above. The events following the 7 BC triple union of Jupiter-Saturn are depicted in the chart below [Fig. 6], including other key celestial events leading to the birth of Christ. Finally, on the heels of this Feb. 25th, 6 BC Conjunction including Mars, in the next month came a remarkable series of lunar occultations, followed by two total lunar eclipses in 5 BC. One of these Lunar occultations has been proposed as the actual Star of Bethlehem recently by, Michael Molnar of Rutgers University. He has drawn attention to a lunar occultation of Jupiter in 6 BC in the constellation Aries. Molnar suggests that this 6 BC occultation was the Star of Bethlehem due to astrological associations, Aries being the ruling star sign of Judea and Jupiter symbolizing a king, with the occultation, and the reappearance of the planet from behind the Moon- symbolizing a royal birth. Although Molnar’s thesis is dubious as to standing on its own accord as the Bethlehem Star, this March 17th 6 BC occultation took place very close to the Sun and just after sunset. Its observation would have been difficult with the Sun only 3 degrees below the horizon, and Jupiter in close proximity just 5 degrees above it. The nearness of this lunar event to the Sun, however is interesting as this exposure of the King planet occurred so close to the Sun as the light of the world. Another sign that took place around the same time as this Lunar Occultation in Aries was a Nova most likely in Capricorn. Similarly, in mid-March of 5 BC there were Chinese reports that an object described as a Nova was stationary and seen for 2.5 months. Despite its longevity of visibility, the object was not a supernova, which was concluded from the lack of a visible remnant, or radio source. This bright Nova was seen in northern Capricorn or southern Aquila in mid-March 5 BC and chronicled by the Chinese and Koreans. The date (March 5 BC), date falls into the Celestial Prelude period leading to the birth of Jesus, its position in the sky (in the east at dawn) and long duration of visibility (70+ days), make it a key contribution to the Celestial Prelude before the Star of Bethlehem. Being another Nova sign while the Coma Supernova was still visible to the naked eye, only lends added credence to our thesis given that the Magi must surely have observed the importance of this Nova in this Celestial context including this Lunar Occultation. These preliminary signs from 7-5 BC provided the Magi with the blueprints they would need to recognize the celestial signs identifying the time frame of the birth of Christ. The fact that the signs of this dress rehearsal unfolded over a period in excess of two years was also a clue of what to expect, when the curtain actually arose on the celestial pageantry of the birth of Christ. The Blood Moon Tetrad of 2014-2015 was foreshadowed by lunar eclipses leading to the Rev. 12 sign of 2017 predicting the return of Christ, which we find in the 7th of the 12 traits of the Celestial Prelude. The Jupiter-Saturn triple unions in 7 BC, highlighted by a planetary alignment on Sept. 15th, initiated a pattern of heavenly signs reappearing in September of 5 BC with a pair of eclipses. This embodies the 10th trait of the Celestial Prelude. On 9-5-5 BC there was a partial Solar eclipse, with a Blood Moon Total Lunar eclipse following 10 days later on 9-15-5 BC. These heavenly signs exactly 2 years apart, enlightened the Magi that they should be on the lookout for heavenly signs marking the birth of Christ, in the next 2-years in September of 3 BC– the 8th trait of the Celestial Prelude. [Figure 6.] The fact that these 7-5 BC signs almost all occur in Pisces, is interesting due in part to ancient eastern tradition, that the influence of the sign of Pisces, the fishes presided over the land of Israel most likely linked to God’s promise to Abraham. This included the Pisces symbolism of the House of Jacob, with the obvious presence of the King planet Jupiter, detailing why the Magi came to Jerusalem looking for the King of Israel. This further evidence provides strong support for the thesis of the Celestial Prelude, giving us a firm footing for the Sept. 11th, 3 BC, Tishri 1 birthday of Jesus Christ! 2. Jesus Christ Our Promised Seed, V.P. Wierwille ppg. 63-64. 3. IBID p. 17. 3 Mysteries of the Mexican Pyramids. Peter Thompkins. p.289.